Can you recommend a pair of black leggings that are acceptable to wear to the office? Perhaps with a long sweater? Honestly my absolute favorite leggings to wear with exercise and out and about are the Lululemon Align leggings. Not only are they super comfortable but they hold up so well in the wash (no piling!). I wear mine with boots, sneakers, everything. I’d love to know how you managed the last months of pregnancy and baby weight. I’m in my 8th month, feeling huge and starting to worry about losing the baby weight after. I’ll probably end up around 25 lbs, but I’m just still self-conscious and already starting to think about the road to come. If I were to hire a personal trainer, what are the pros and cons and how many sessions a week would you recommend? The end is tough but just try to remind yourself that gaining weight is a good thing! Also remember that so much of the extra weight is fluid that comes out right when the baby is born! I gained 24 lbs with Charlie and 26 lbs with Jack – both times the weight was gone in 3 months but the softness/overall change in my body took 9-10 months to bounce back. A personal trainer has worked well for my body type because it pushes me outside of my traditional cardio workout. Right now I train with my trainer 2x a week and do cardio at least 2x a week. I would say just be patient, you have 6 weeks to observe your body after baby before you figure out what would be a good exercise strategy. I promise you’ll get your body back! The end is near! I recently passed the bar and can officially call myself a lawyer. I’m the youngest in my office and really want to spruce up my professional wardrobe. Where do I begin and do you have any recommendations on exactly what to buy? J.Crew has a great selection of work attire! I love this skirt with the jacket or this crepe pant situation is so chic paired with this blazer. Banana Republic also has great options! If you’re comfortable wearing dresses then I think this and this are gorgeous. How would you style black velvet pants for a holiday party? I love the idea of this off the shoulder top with strappy heels and statement earrings! Or a sequin tank with a leather jacket.. I also love this velvet bodysuit for a jumpsuit effect! Any suggestions for a cute, versatile leather jacket? Willing to make the investment if it’s worth it! I personally think the IRO Ashville Leather Jacket is worth every penny. I have it in blue and it is literally butter and the most flattering style I’ve found. If you’re looking for a more affordable option then I love Madewell and Club Monaco! I’ve got a number of weddings coming up and am having the hardest time finding shoes that are both stylish and easy to dance in! Do you have any go-to styles? I have these suede pumps and they are soooo comfortable (can’t believe they are on sale!). I wish I had a reason to buy/wear these! You can’t go wrong with these – such a great heel height. I’m trying to find some casual date night options for my husband. He either dresses for work (nice button down and dress pants) or for the golf course (so many polo shirts). What are some easy-to-style options you would suggest? I would recommend browsing my Dave category! It sounds like he definitely needs a casual blazer. Dave loves this style, this style and this style (similar outfit here). Can you name a few of your go-to hair-styling tools? I have really coarse, thick hair so after I wash it (I use a really standard shampoo/conditioner) – I’ll blow dry with my Dyson hairdryer, curl with my t3 Whirl Trio wand (I use the 1 inch barrel) and then spray with Living Proof Flex Hairspray. To give my roots an extra boost I’ll use Living Proof Volume Blast and then rub a few drops of Moroccan Oil on the ends. We are about to have our second child in December. Did you buy Charlie a ‘gift’ from the new baby? We’ve heard this is something to do, but I’m lost on ideas. Also, how did you treat those first few weeks with a new baby plus a 2 year-old in the house and keeping him entertained, etc? Yes! We actually bought him a little doctors set so when he got to the hospital he could check the baby 🙂 He was so excited! The first few weeks I would say let go of any expectations – you’re probably not going to be the most present mother to both kiddos. You’re basically in survival mode and that’s ok! Charlie watched way more TV than he usually would be stayed indoors, a lot. Just savor those early days! Do you mind saying again how you use laundry detergent in your vacuum to keep your couch clean? I remember seeing this in your IG stories and need to try it for myself! I actually just shared this on my IG stories! I saved it on my IG highlights under COUCH CLEANING!! What are your thoughts on wearing a jumpsuit for a winter wedding where the dress code is formal? I think its okay, but don’t want to seem under-dressed! I think you’re totally okay as long as it is a more formal option! Rock it, GF! I just had a second baby and bought a few pieces for the fall and winter months from less expensive stores to wear as I slowly make my way back into my pre-baby wardrobe. The problem is that these clothes fit nicely until I wash them. Now they’ve lost their shape! Any tips on how to dress up a sweater or blouse to make up for the fact that it didn’t mesh well with the washing machine? Hmm – accessories always help! Like a cute plaid scarf or maybe try layering with a leather jacket or blazer! I’m looking to buy Christmas stockings for my family this year, any recommendations for some cute monogrammed options? I love these white velvet stockings, dying over these and these and these are darling. Always love these posts – thanks for sharing! For the young lawyer question – you can’t go wrong with MMLaFleur. Simple styles that hold up very well and work in a formal firm environment. Don’t be that young associate in a dress too short from Nordstrom. Love the new site and love your cute family and style. Keep all the good stuff coming! Omg!! I loved your blog before and love it even more. I have two kids as well and think Charlie and my 3 year old boy, Cameron would get along very well. Love the new site And new sections you have created! Excited to see more to come! 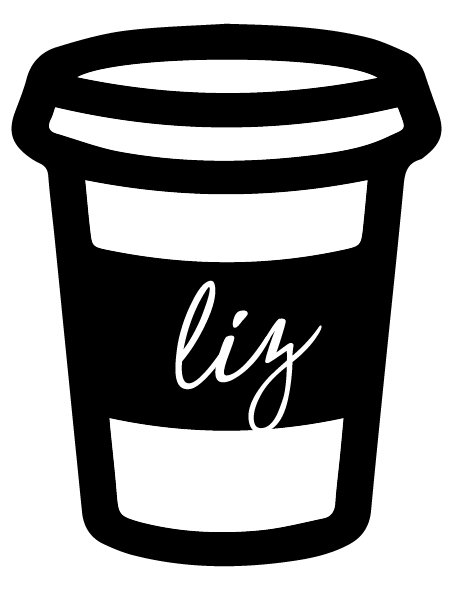 So excited to follow this blog transition, Liz! You and your family are the cutest! So excited to see this transition ❤️❤️❤️ Love your content and transparency! Love following along with you, Liz. Your day-to-day take-away is always positive and so real! Keep killin’ it! The aesthetics on this new website is amazing! While I loved your old site, this one seems lighter and brighter and just very happy! It seems very user-friendly and I cannot wait for this new chapter! Congrats on the new website! Favorite blogger by far! Love the new site! So fun and easy to navigate! Beautiful family! We live in Chicago suburbs too and I love reading your posts! I love all the family pictures!